FOR MANY modern men, shaving is a daily activity. While some would use an electric razor, most would reach for the archetypal modern shaving tool: the disposable or cartridge razor. It would be a lightweight plastic implement—a slender handle with a rectangular-shaped head fixed probably fitted with several blades. The entire thing could be disposable, or the head would be detachable and could be replaced. The Gillette Mach 3, a typical modern cartridge razor. From Wikipedia Commons. While these particular razors are relatively recent abstractions, hair removal is not, and has been performed since antiquity. Ancient peoples had various (rather uncomfortable-sounding) methods of hair removal, including clam shells, shark teeth and sharpened flint. Razors made of copper and gold have been found in Egyptian tombs dating back thousands of years. Razors were introduced to the Roman Empire at around the 6th century BC, and were the fashion for a time. Alexander the Great demanded his soldiers shave, contrasting with the Greeks’ prior appreciation for beards. 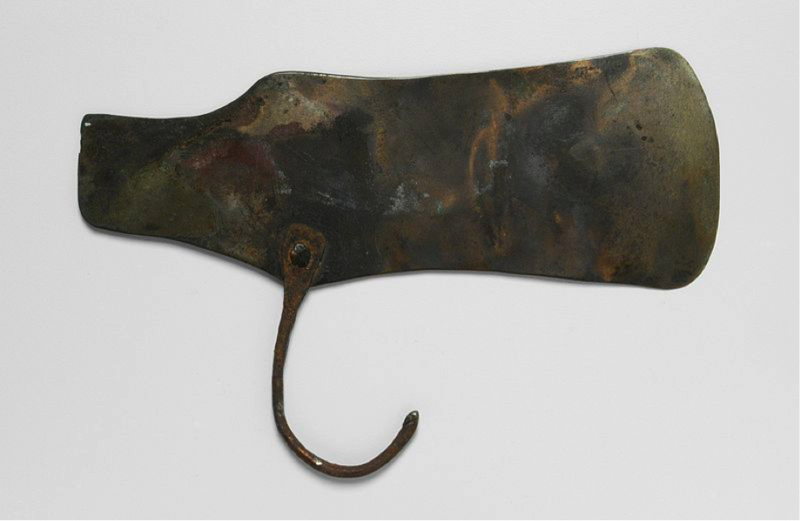 A bronze razor from Ancient Egypt. From Wikipedia Commons. The old-timey razor that most of us are (possibly vaguely) aware of, however, is the straight razor. Widespread and made in large numbers by the 17th century, the design and manufacturing of the straight razor originated in Sheffield, England—a town made famous by its steel industry. 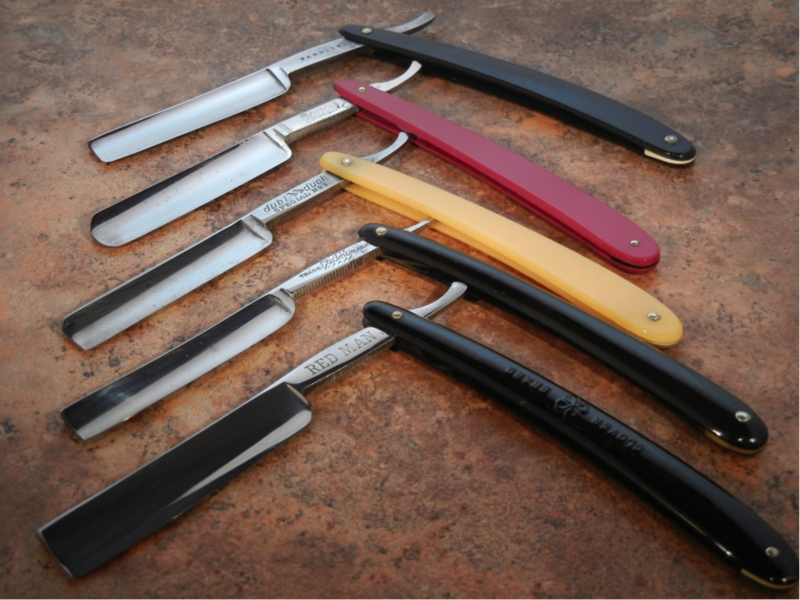 The straight razor is essentially a single-edged and extremely sharp blade that could be folded away when not in use. During their reign they were the shaving implement, and ranged from simple and functional tools to elegant and intricately decorated personal accessories. A collection of earth 20th century straight razors. From Blade Gathering. Compared to today’s conveniences, the straight razor is more demanding both in terms of maintenance and use. To ensure the absolute keenness of the edge, the razor needs to be stropped frequently, and honed once in a while. This necessary upkeep itself is a bit of an art-form, as is the actual wielding of a straight razor—navigating the contours of the face and jaw with a woefully sharp blade is definitely a learned skill, and one that need be learned well lest painful mishaps occur. That they are also known as cut-throat razors is perhaps unsurprising. It would be easier, then, to let another more experienced pair of hands handle the blade, and indeed this is what the barber used to be known for. Along with styling the scalp hair, shaving used to be one of their core offerings, and the handling of a straight razor was the fundament of the barber’s trade. This is not so much the case for a barber today, though it is still quite possible to find a purveyor of the traditional wet shave. Naturally, then, we would begin looking for easier and quicker solutions. By the mid-19th century, the idea was mooted of placing the blade perpendicular to the razor handle, and having some sort of guard to prevent the blade from slicing too deep. The idea did not really gain traction, however, until the turn of the century, when King Camp Gillette developed the disposable razor blade, eliminating the need for constant sharpening. This, then are the two key points of the safety razor: because of the guard, it was much easier to use that the straight razor, and changeable blades meant it required practically no maintenance. On the strength of these traits (and Gillette’s adroit manufacturing, managing and marketing practices), the safety razor quickly rose to become the dominant shaving tool of the early 20th century. A classic model of safety razor with accompanying blade. From Flickr. The archetypal safety razor is an all-metal affair, chunky and heavy to our modern sensibilities. The head will disassemble in some way to facilitate the removal and installation of the razor blade, or it might open up with a twist mechanism. The typical razor blade itself is an iconic image that lives on today: a rectangular sliver of metal with the corners cut out, and a curious keyhole-like cutout along the midline which formed the anchor points. 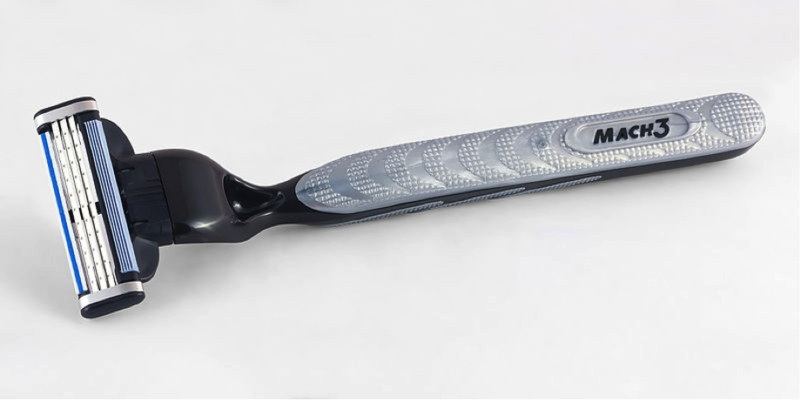 It is sharp on both sides of its length, allowing the user to flip to each side when it was convenient, and is the reason traditional safety razors are sometimes known as double-edged razors. The demise of the safety razor, like the straight razor before it, came with even more convenience and ease of use. Disposable razors began appearing by the 1960s, cheap plastic things with fixes blades. Cartridge razors soon followed, improving on the aspects of the safety razor. With blades being embedded in plastic cartridges that made it even harder to cut oneself during handling or shaving, and being easier and faster to change. The following decades offered various additions (some outlandish, some less so) such as multiple blades, lubricating strips, pivoting heads and even vibrating handles. So the cartridge razor may have relegated the straight and safety razors away from dominant use, but they live on in more than just memories. As with other anachronisms that have survived into the 21st century, traditional shaving tools have a small but enthusiastic following. 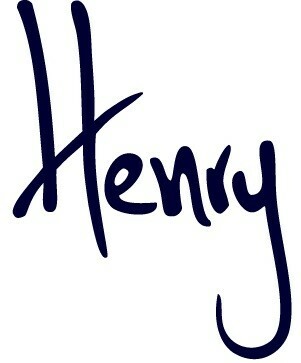 In fact, sales have been increasing of late. Safety razors and supplies are easy enough to acquire through retailers such as Amazon, or any number of specialty sellers. Old names such as the venerable Merkur are still manufacturing quality razors, along with newer brands such as Edwin Jagger. Taylor of Old Bond Street still sell shaving supplies out of their store on Jermyn Street, London. There is also, of course, the thriving market for still-perfectly-usable vintage razors. 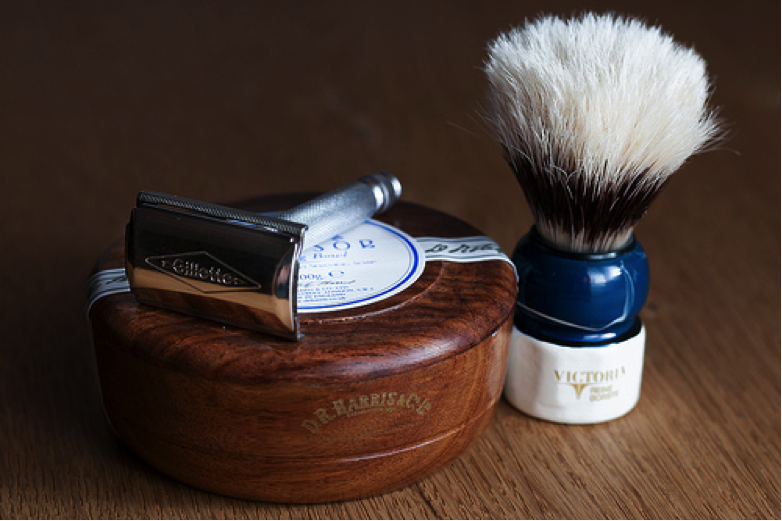 There are some practical reasons for adopting a more traditional shaving method. Proponents of the safety razor tend to find that it is kinder to their skin. Different brands of blades have different characters as well—some are sharper, some are smoother—as do different razors, which can be more aggressive or less so. Finding just the right combination for one’s particular skin and hair could just be the solution to razor bumps or burn. Of course, hand-in-hand with old-style shaving is old-style skin preparation. Instead of foam or gel from a can, traditional shaving creams and soaps come in tubes or tubs. It is worked into a lather using a shaving brush, which is generally made with bristles of badger or boar hair. The ideal lather is thick and rich, not too dry and not too wet, and many find that it protects the skin better than a spray can alternative. Safety razor, shaving brush, and a tub of shaving soap. From Flickr. There is also the cost factor to consider. Cartridge razors may be cheaper to get started with, but the cost of each cartridge can add up quickly. Razor blades, by comparison, last for a comparative number of shaves, and are far cheaper—potentially by a factor of 10 or more. The environmental cost is also lower, as blades are easier to recycle than their plastic cartridge counterparts. The razors themselves are also hardy things that could last a lifetime (or even longer, as anyone using a vintage razor will attest to). 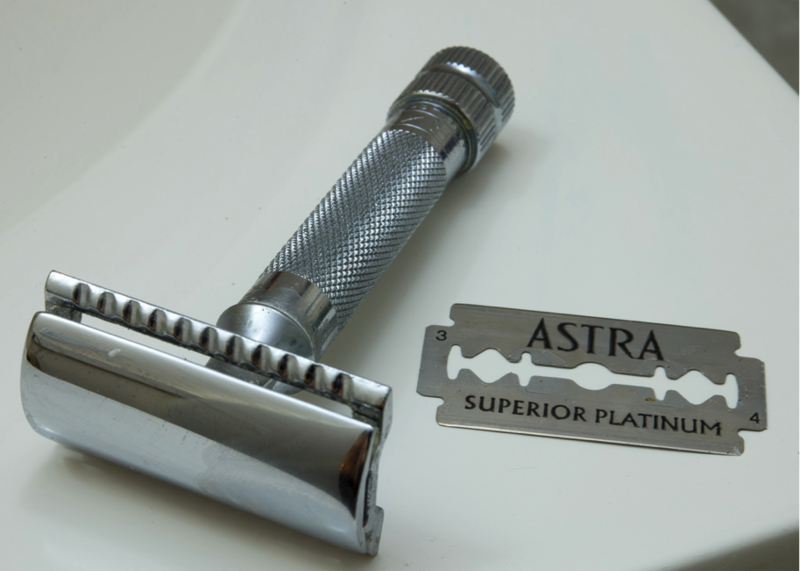 Straight razors, of course, generate no waste by themselves, and can last just as long if maintained well. And then, of course, some just like the idea of traditional shaving. A good safety razor is a solid and well-constructed thing, heavy and substantial. A good straight razor is a finely-crafted precision tool. The shaving process might take longer and demand more care and skill, but can turn a daily inconvenience into a thoughtful and enjoyable ritual. In the fast-paced modern world, sometimes it’s nice to slow down and stay in touch with a few of the elegant things of the past. Old-fashioned, maybe, but some things never go out of style. Ever wonder what Jack Dempsey carries in his coat pocket? The Art of the Traditional Shave - Bespoke Suits By Savile Row Tailors.